Bodansky: What If Bashar Didn’t Do It? RUSH: All right. So here’s the deal. Last week, Obama reverses himself and says that he’s not gonna go into Syria. Remember, they’re using nerve gas. John Kerry goes out there, 1,500 people, 2,400 people, a lot of kids, nerve gas, sarin gas, got the proof. Look, I’m gonna get into all the hypocrisy. Yes, Kerry dining with Bashar back in 2009 and talking about what a great guy Bashar was. The bottom line is this administration is as incompetent as Jimmy Carter. There’s only one difference. If there were anybody else running this administration right now, this would be reported as incompetent and as buffoonish and as frightening at Jimmy Carter’s. Then all of a sudden he switches gears we’re told after a walk Friday night on the White House grounds. Yes. He decided he’s gonna use congressional authority. He’s gonna go to Congress. Now, when this announcement was made — ’cause this had been discussed. I mean, the idea of congressional authority for use-of-force authorization had been discussed. There had been test votes taken by virtue of interview. At the time, there was no way Congress was gonna authorize it. Didn’t stand a prayer, which Obama knew, which the point was to blame Republicans. It was the Limbaugh Theorem in play. Obama forget about it essentially. The plan was change direction, reverse field, announce that he’s gonna go to Congress to get a use-of-force authorization, and then when the Republicans don’t give it to him, blame them for dead Syrians. That was the plan. It still may be the plan. Blame the Republicans, the Limbaugh Theorem, a new strain of it. I get into arguments with people about this who still do not understand that no matter what the issue, no matter what day of the week, the either number one or number two objective in the world of Barack Obama is the elimination of any opposition. You cannot take the 2014 midterm elections out of this equation. You cannot remove from this equation just how desperate the Democrats are to win the House in 2014. Anything that can be done to blame the Republicans. When you have a slavish media on your side, you’ve huffed and you’ve puffed and you announce the red line and you draw the red line and you talk about how horrible it is that anybody would use nerve gas on their own people, except Saddam. When Saddam does it, it isn’t a big deal. John Kerry goes out there on Friday, cites intelligence sources, telling what happened. Well, we can’t believe intelligence sources. These guys told us back in 2002, 2003, Kerry, Obama, Hillary, they all told us, intel lies, Cheney made it up. So now we’re being asked to believe the very institutions these people have destroyed. They did their best to destroy the CIA’s reputation and MI6 in the UK, and any other group that did intel, any other nation around the world. Anyway, the change of direction. I don’t know, cowardly, politics. Blame the Republicans for it. Roll the dice that they won’t grant you the use-of-force authorization. Okay, what happens if they do? If they do then you’re home free. You can’t lose either way here, politically. It’s not about the people of Syria. It’s about Barack Obama. Everything’s always about Barack Obama. I got another media montage that I have coming up for you in due course here. Washington media spent the Labor Day weekend wringing their hands, a little bit upset. The elitists spending their last weekend of the summer in the Hamptons were worried, Obama looked like an idiot here. Remember, this guy has been a theoretician sipping cocktails and trading theories in faculty lounges all across elitist institutions of higher learning. These people have had the best ideas. These people have been smarter than everybody else. They thought Obama was the smartest, greatest guy. Never mind the fact that he essentially went from state senator to president of the United States, zero foreign policy experience except for saying Saddam was not worth anything. That was the extent of it. Now all of a sudden even Fareed Zakaria, does the CNN show from the dashboard of his car, Fareed Zakaria GPS. Even Fareed’s nervous. Fareed’s embarrassed. We got the sound bites. All these leftist, elitist foreign policy so-called experts nervous as hell ’cause Obama looked like an idiot. Looked like he was backing down, huffing and puffing and backing down and going to Congress. These guys hate Congress. The Republicans run Congress. Why are you gonna defer to Congress? It’s all about setting up blame if they don’t grant the use-of-force authorization. By the way, McCain and Boehner are on board for it. Boehner just came out of the White House, “Whatever the president wants.” Wall Street Journal, Kimberley Strassel, I’ll give you the pull quote. So, once again, a piece of advice to the Republicans is, “Bite the bullet! Bend over. Be bigger and give the president what he wants for the sake of America,” and Boehner and McCain are eager to do just that. Now in all of the headcount polls and this kind of thing right now, the use-of-force authorization would not pass. There’s another thing, folks. (interruption) No, I still haven’t gotten the main point. It’s all leading up there. Just sit tight. Yeah, the assets are already in place and we’re gonna launch ’em for three minutes to five hours. That’s the length of time we’re talking about here. Get in, get it, and get out. Why wait? I thought time was of the essence here! I mean, he’s nerve gassing his own people. Anyway, here’s the point, folks: Four different people now, and the third one was just this morning, are asking, “What if Bashar didn’t do it? What if Bashar is being framed? “What if Al-Qaeda is setting off their own chemical weapons on their own people, if the rebels are nerve gassing their own people to create exactly what is happening, us mobilizing to get rid of Bashar because they can’t for some reason.” So they use chemical weapons on their people, it gets blamed on Bashar, we go in and take Bashar out or do something and end up on the same side as “the rebels,” in this case Al-Qaeda. What if Bashar is being framed? 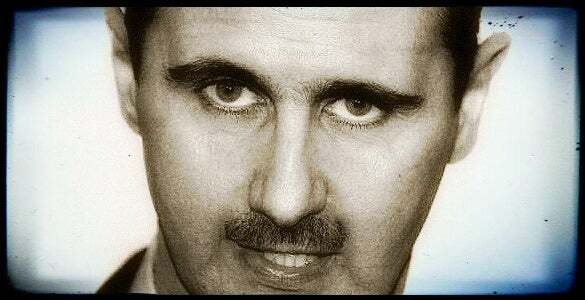 What if Bashar didn’t do it? Sit tight, ’cause I’ve got a story by a man whose credibility is intact and beyond repute. His name is Yossef Bodansky. He “is an Israeli-American political scientist who served as Director of the Congressional Task Force on Terrorism and Unconventional Warfare of the US House of Representatives from 1988 to 2004. He is also Director of Research of the International Strategic Studies Association and has been a visiting scholar at Johns Hopkins University’s Paul H. Nitze School of Advanced International Studies (SAIS). “In the 1980s, he served as a senior consultant for the Department of Defense and the Department of State. He is also a senior editor for the Defense and Foreign Affairs group of publications and a contributor to the International Military and Defense Encyclopedia and is on the Advisory Council of The Intelligence Summit,” and he has a piece today in Defense and Foreign Affairs. “There is a growing volume of new evidence” that the White House knew and possibly helped plan a Syrian chemical weapon attack by the opposition. This is the first scholarly piece on it that I’ve seen. That’s not part of the scholarship in the piece. RUSH: My friends, do you remember when the Syrian rebels overran and controlled a government base that had chemical weapons last summer? Even Leon Panetta admitted that chemical weapons may have fallen into their hands. This was last summer. I doubt that you remembered this. I doubt that anybody remembers it. Even people who keep up with the news every day, I doubt that anybody remembers that, so I want to remind you. Syrian rebels — the same rebels that we’re talking about today — overran and controlled a government base, a Bashar Assad base, admittedly, that had chemical weapons last summer. And even Leon Panetta admitted that chemical weapons may have fallen into the hands of the opposition last summer. Now meanwhile, John Kerry and the regime and the media have used as their main argument the rebels have never had access to these chemical weapons. I mean, I’m not the first one to float it nor are the people who sent me their thoughts on it, nor is Yossef Bodansky the first. It’s been talked about in Washington. There hasn’t been a lot of news reported about it. But in dissecting events in Syria, people have posed the possibility in a rhetorical way. John Kerry and the Obama administration and the media have all used as their main argument that the rebels have never had access to the chemical weapons that the Syrian regime holds. “Oh, yes. Congress must back the president! They must, must, for the purposes of the credibility of the United States of America.” Didn’t a lot of the same people try to stop funding our troops while they were on the battlefield in Iraq and Afghanistan? Didn’t some of these same people now demanding a united front actually engage in behavior that hampered the US military effort, particularly in Iraq? 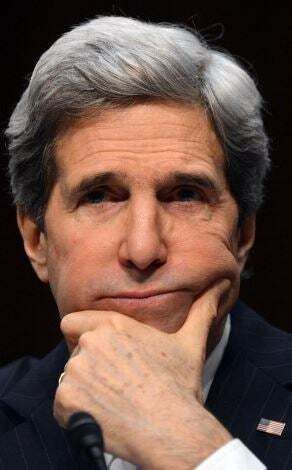 John Kerry two times, in Vietnam and Iraq, agreed that US soldiers are reprobates, rapists, terrorists. Now all of a sudden they’re angels. You know, it’s Foreign Policy magazine, a flashback: “Panetta: WeÂ’ve Lost Track of Some Syrian Chemical Weapons.” That’s September 28, 2012. This is after Benghazi. That’s what Benghazi was all about in many ways. It was not last summer; it was last September in Foreign Policy magazine. Panetta said, we have lost track of some Syrian chemical weapons. This is after Benghazi. So I’ll give you some thinking on this notion that Bashar is being framed, that he didn’t do it. That was August 29th. That’s four days ago. Folks, I don’t know how many of you have seen those stories. You in this audience, you’re pretty informed. I imagine some of you have noted them or come across them. But I’m gonna tell you the conventional wisdom on television throughout the Drive-By Media is that Bashar conducted the chemical weapons. The rebels don’t have any. Bashar did it. Bashar crossed the red line. The Syrian regime’s a bunch of reprobates, and Obama said if you cross the red line you’re gonna pay a price. He crossed the red line and now Obama’s gonna make him pay a price. He wants Congress to join him in it. The conventional wisdom is that it’s Bashar, it’s a fait accompli, but I’m telling you, since last September, for anybody keeping track, wanting to remain open-minded about this, it’s an open question whether the rebels got their hands on some chemical weapons, and then, while in the process of getting the heck kicked out of ’em, which Bashar was doing, they launched chemical weapons on their own people, framing Bashar. I’ll tell you how this all started for me. On Saturday I woke up, and it’s almost habit now, I fire up the computer just to get my fix, news and stuff to start the day, and e-mails. I got a note from a friend of mine, and it was the first of two, turned out, and these two guys don’t know each other. The things that this friend of mine is telling me, things about him I didn’t know, but I believe to be true. Anyway, he says that he spent a lot of time in the Middle East. His business, by the way, would have required that or certainly would have necessitated it. He just never talked about it. Anyway, I’m not gonna read the whole thing to you, but basically he says he’s traveled around a lot over there and doesn’t believe Bashar would do this. There’s nothing in it for him, he’s not this kind of guy. It was almost a personal reference for Bashar Assad, which really had me scratching my head. I said, “Come on. Everybody wants to do my job. Everybody wants to influence what I say.” And I set it aside and I filed it away. I thought it was interesting, but, you know, anybody can write me anything and say anything. I’ve gotta be very careful. I just can’t accept what somebody sends me in an e-mail and run with it. So I ran the theory by a couple of people whose opinion on these things I’ve respected over the years, and they both said, “Nah-nah-nah-nah-nah, that’s a little crazy.” I said, “Okay.” So I set it aside. Then another one came on Saturday afternoon, and I set it aside. So powerful is the idea, the media gets into this convention wisdom mode and starts pounding things and it doesn’t take long for everybody to start believing the story. And the story is that Bashar used sarin gas, chemical weapons on his own people, even though it’s John Kerry out there making the case. And then late last night, early this morning, I run across this piece by Yossef Bodansky. And I look him up, find out who he is, just shared his resume with you, and his story, his article here is that there is evidence, mounting evidence that the rebels in Syria did indeed frame Assad for the chemical attack. But not only that, that Obama, the regime, may have been complicit in it. Mounting evidence that the White House knew and possibly helped plan this Syrian chemical weapon attack by the opposition. So this is a double whammy. So then I said, wait a minute now. I just rejected these two e-mails from friends of mine thinking, quite frankly, that it was quackery. I said, wait a minute now, I’ve got to start thinking this seriously. One of the learned people in this field that I ran the theory by who initially rejected it is now rethinking the whole thing based on the Bodansky piece. Look, I don’t want to overdramatize this. I’m just saying, with this administration, one thing I’ve learned, with the Democrat Party, the American leftists, their objectives are not always as stated, and they do lie, and they will lie to further their cause. And we know that, as far as these people are concerned, everything is about Obama. It’s not about the people of Syria. It’s not about anything but Obama and the elimination of opposition and winning the House in 2014 because everything with these people is political. This guy is not a kook, folks. He’s not a nut. He’s not an Internet Looney Toon, the guy writing this, Yossef Bodansky. In fact, in reading further about this guy, Yossef Bodansky argued that the deception playing out right now in Syria is a deception similar to one used in Sarajevo in 1995 to provoke air strikes against the Serbs for the benefit of the Bosnian Muslims. Now, if this is right — and I say “IF” in capital letters — if this is right, this is the setup of all time. This thing prints out to four pages and I’m sure Koko and the boys have found it and are getting ready to put a link to it at RushLimbaugh.com. Defense and Foreign Affairs. If they don’t have it I’ll send ’em the link. At any rate, it looks like there was US intel involvement dating a week before the alleged chemical weapons attack in meetings that were anticipating a war-changing event. So we could be looking here at a frame job, a pretty big setup. “The extent of US foreknowledge of this provocation needs further investigation because available data puts the ‘horror’ of the Barack Obama White House in a different and disturbing light.” The way that’s written, what it means is Obama is describing what happened in Syria as a horror, and it’s something we as a freedom loving, decent, good-hearted people cannot tolerate. It’s a horror. Well, what Mr. Bodansky is saying is that “available data puts the ‘horror’ of the Barack Obama White House in a different and disturbing light,” meaning it’s not Bashar doing the horrible things. It’s the rebels nerve gassing themselves, framing Bashar, setting him up so as to engineer a response that takes Bashar out; so that the Al-Qaeda guys win, and then we end up on the side of Al-Qaeda, and you’ve heard that being speculated about. “On August 13-14, 2013, Western-sponsored opposition forces in Turkey started advance preparations for a major and irregular military surge. Initial meetings between senior opposition military commanders and representatives of Qatari, Turkish, and US Intelligence [‘Mukhabarat Amriki’] took place at the converted Turkish military garrison in Antakya, Hatay Province, used as the command center and headquarters of the Free Syrian Army (FSA) and their foreign sponsors. “Very senior opposition commanders who had arrived from Istanbul briefed the regional commanders of an imminent escalation in the fighting due to ‘a war-changing development’ which would, in turn, lead to a US-led bombing of Syria. The opposition forces,” meaning the rebels in Syria, “had to quickly prepare their forces for exploiting the US-led bombing in order to march on Damascus and topple the Bashar al-Assad government, the senior commanders explained. That would be the nerve gassing of their own people. Now, again, it remains a big “if,” but if… Look at the world right now. Look at this country. If indeed this is a frame job, look at how well it’s being run. I mean, everybody thinks that Bashar did it, and everybody thinks Obama’s gotta do something, and everybody thinks Congress has gotta join Obama in doing something, and everybody thinks the United States has gotta do something. “We gotta go in there! We’ve gotta save the Syrian people! This Bashar guy is an absolute reprobate. He’s no different than Saddam; he’s nerve gassing his own people.” That whole narrative, that whole template quickly came to life. It has all the energy in the world behind it. Now, just so you know, the two e-mails I got from my friends who cite anecdotal evidence, I’m not attaching any weight in this to what they have said. It just, to me, is coincidental. RUSH: Okay, I just sent the link for the Yossef Bodansky piece at Defense and Foreign Affairs up to Koko at the website, RushLimbaugh.com. I don’t know if Koko got it on his own or not, but regardless he has the links now, and it will not be long before you will be able to go to the link and read the whole thing yourself, which I’d urge you to do. I’m not gonna read four pages here. It’s really detailed. It’d be tough to follow over four pages, but it’s convincing. I just want to make one thing very clear here. I am simply being honest with you. I get two e-mails on Saturday from two different friends, ostensibly (you talk about over the transom, talk about out of the blue) that they don’t believe it. Because they’ve worked on in the region, lived there, done business there, and they don’t believe Bashar’s capable of doing it, and there’s no upside for it. In fact, that Bashar’s probably paranoid, ’cause what is Obama doing in the Middle East? The regime’s agenda appears to be eliminating dictators in favor of Muslim radicals. He got rid of Mubarak. He’s a dictator. He might have been a horrible guy, but he was stable. Khadafy may have been a horrible guy, but he was stable. We’re getting rid of all of these dictators — which, of course, sounds great — but they’re being replaced with Muslim radicals, i.e., the Muslim Brotherhood in Egypt and Al-Qaeda is basically who’s in Syria. If they get rid of Bashar in Syria, it will be Al-Qaeda. Muslim radicals. Sharia is on the march in the Middle East is what’s taking place here. The point is that Bashar may be looking at this, seeing this, and of course wouldn’t smile upon it. He’d be considered one of these dictators that the US is targeting and taking out. I’m not asserting any of this to be true. I just found it now in a very credible place, and you know me. I don’t go with the flow of conventional wisdom — and I’m not a conspiracy kook, either. This makes perfect sense to me that Bashar could be set up. So I’m just putting this out as a possibility, because it’s already out there. I didn’t put it out there. I’m just reminding you and sharing with you what’s there. You know the old, “We report, you decide” thing here. RUSH: This has been done before, folks, as I mentioned. It’s been done before in Sarajevo in 1995. But aren’t we preparing in our country for Al-Qaeda to possibly use chemical/biological weapons on us? What’s so hard to believe that they could do it in Syria? RUSH: Now, one quick thing: Bodansky does not identify his sources in this story, and I want to be very clear about this. He does not identify them. There are numerous sources, but he doesn’t ID ’em, and so we gotta be careful here. It could be that his sources are Israeli intelligence, in which case he wouldn’t ID them, but he doesn’t ID the sources.